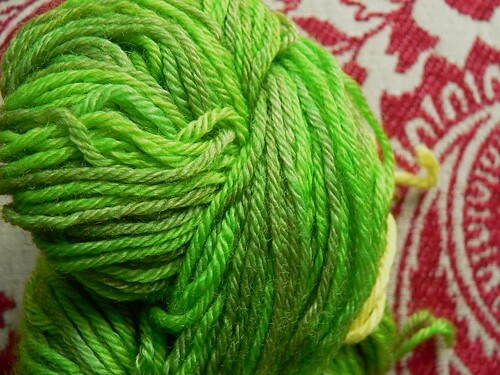 A lot of the yarn I buy is purchased online, which means I can wind up opening a package and discovering that the color on my computer monitor really doesn't match the actual color of the yarn. 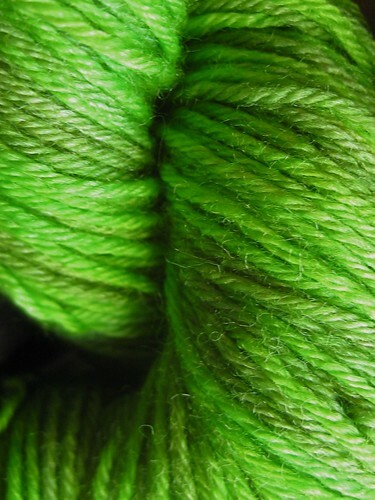 Even if I buy the yarn in person, sometimes the lighting, my mood, or other factors result in my purchasing a yarn and then deciding later on that it's a color or colorway I'm not going to use. In this case, I chose to overdye it with another color. 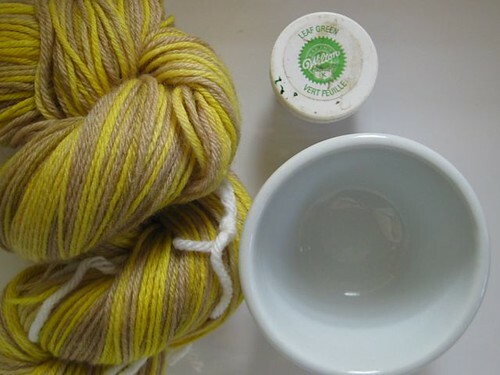 The skein of yarn I plan to overdye, container of Wilton's gel food coloring in Leaf Green, tea cup for mixing dye. All this is sitting in a Pyrex baking dish. 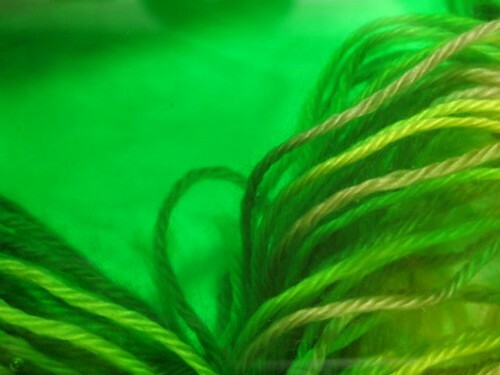 Out of frame: electric kettle I use to boil water and bottle of vinegar I will be adding to the dye. 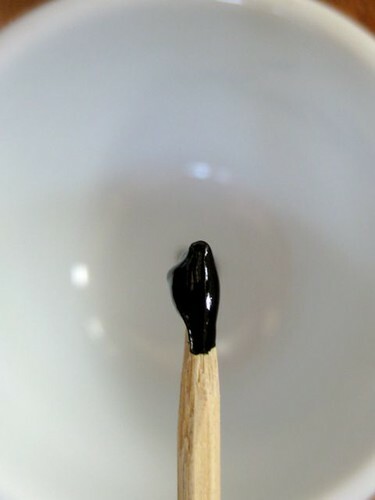 For this skein, because there was just one and was not concerned with getting results I could replicate, I assembled my supplies and then mixed with dabs and splashes and fiddling around a bit. 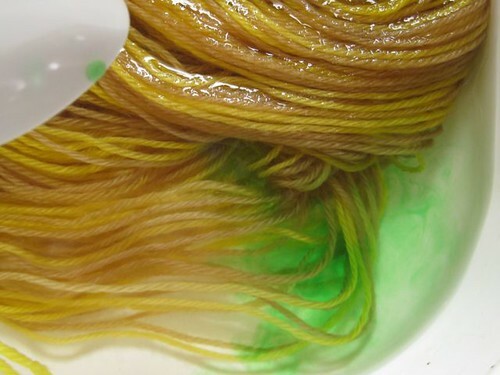 I live-tweeted this and more photos of the process are on my Flickr page in the Overdye set.